Niwa City, Japan could be any other big city - busy streets, bustling corporations, high crime rates - but something about it stands out. It is here that a new breed of human has flourished - the Meta-Humans. Born or bred, Meta-Humans are a group of people with powers that redefine the meaning of humanity. Androids. Wizards. Half-human, half-creatures. People with enchanted weapons. People who can see the dead. Actual dead people. Undead people. From elemental manipulation to object control to expanded mental capacities, these beings have changed society - and crime. Like any other big city, Niwa has its share of atrocities. Whether it be the Yakuza, the Triads, or another gang, there is always someone trying to get the upper hand in a city of talents. The Niwa City Police Department have their hands full, so much so that they created a department just to deal with the growing problem of gang activity. So, who are you? Are you the bad guy or the one who stumbled into the wrong situation at the wrong time? Are you the good cop or the one that bends the rules? Whoever you may be in the community, the many citizens of Niwa are here to be part of your story. 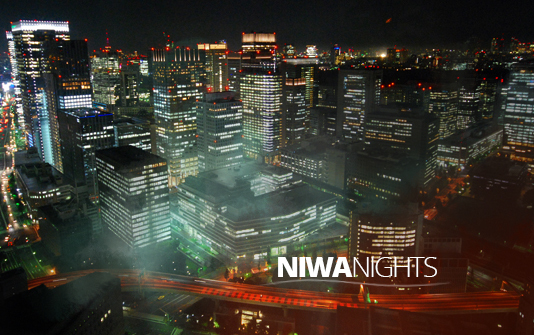 Niwa Nights is a character-centered role-playing board based on city life and supernatural activity. Members create characters that attend events, build friendships (or enemies! ), and tell their stories together. Join today! *New gang in Niwa- the Beldeg! *New advertising policy taking place for the first time today- on June 1 and December 1, all ads are being deleted (except for affiliate ads) and our advertising campaign begins anew. As this is our first time doing this, our foolish Advertising Manager has accidentally deleted all ads.